This entry was published on February 19, 2016 and was updated on February 22, 2016 / Willa K. Johnson. 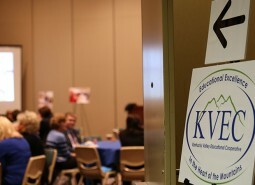 Posted in ARI, Featured, Highlights and tagged Kentucky, Kentucky Valley Educational Cooperative, KVEC, Legislators, Public Schools. Bookmark the permalink.